Use your ATM/Visa® Debit Card to access your Checking Account anywhere Visa is accepted! Granite State Credit Union offers Enhanced Security Chip Cards, also known as EMV cards. If you do not have an EMV chip card you'll receive it when your current card expires. To get an EMV card earlier, you can visit any of our branch locations to receive an Instant-Issued card, or request to receive one via mail. If received by mail, activate it by completing a PIN-based transaction. You'll still be able to access ATMs supporting Visa or Plus networks with your card! Due to everchanging international fraud, GSCU routinely blocks countries with excessive fraud from performing ATM/Visa Check Card transactions. 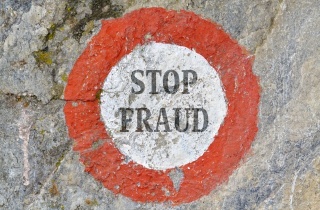 Contact us at 1-800-645-4728 if you plan to travel abroad so that we may alert our fraud monitoring service. Learn more about our Fraud Protection. With the CardValet app, you can save time and maintain security safeguards to protect against fraud by controlling the cards in your wallet with the phone in your pocket. Download the Quick Reference Guide for more information! Mobile Wallet solutions allow you to easily and securely make purchases at participating merchants with virtual GSCU Visa® Debit Cards. Learn how to set up and use Apple Pay on Apple devices. Open the Wallet® App, swipe down, and tap the plus sign. Use your iSight® camera to enter the card or add it manually. To pay in-store, move your device near a contactless reader with your thumb on Touch ID. A subtle vibration and tone let you know your payment has been processed. Learn how to set up and use Google Pay on Android devices. Take a photo of your card or manually add your card information. Unlock you phone and tap to use Google Pay at any location that accepts contactless payments. Learn how to set up and use Samsung Pay on Samsung devices. Swipe up from the home button to launch the app or select Samsung Pay app icon. Hover the card over the reader to pay. Members can select an image to print on their Visa® Debit Cards. These cards are available instantly at any of our branch locations! You shop. You earn. You choose. You'll earn one (1) point for every $2.00 when you use your card as a credit transaction** — points you can later redeem for merchandise, travel, gift cards, activities, event tickets, and more. Learn more about registering your Visa® Check Card online in order to start accumulating points. If you have more than one Visa® Check Card, you can link both to your UChoose Rewards under "Preferences" to accrue points on all of your purchases! **A credit transaction using your Visa® Check Card is one in which you select "credit" rather than debit upon purchase. Please note if you are replacing an existing GSCU Debit or ATM card with a custom card you will receive a new card number. If you have reoccurring bills set up, upon receipt and activation of your new card, you will need to contact the vendor initiating the bill payment and switch the transaction to your new custom card information. *There is a fee of $9.95 per card design you submit. You may update your picture as frequently as you like. Note: This list is not exclusive and Granite State Credit Union retains the right to decide that any submitted image is not to be used. Images that do NOT meet the above guidelines will be rejected and you will be notified. You may then submit another image. For more information, contact us anytime at 1-800-645-4728.